The final testing phase has begun. We all know it’s coming. In fact, we all know, more or less, what the final product will look like, based on the FT-1 Concept and the abundance of spy shots. The reborn Toyota Supra is currently undergoing its final testing stages, and car spotter Automotive Mike recently caught up with one of these advanced prototypes at the Nurburgring. Where else would a (hopefully) world-class sports car get put through its paces? Remember, the new Supra has some German engineering guts, thanks to the BMW-Toyota partnership. While Toyota is keeping mum on details, we’ve . For starters, power could come from a version of BMW’s S55 twin-scroll inline-six (which powers the M3, M4, and ) that could make as much as 450 hp. Power will go to the rear wheels, though a six-speed manual is not expected to be offered. Instead, an automatic, possibly an eight-speed unit, will be the sole gearbox available. Interestingly, the Supra’s cousin, the next generation BMW Z4, is expected to offer a manual. But don’t think of the new Supra as simply a rebadged, coupe-only Z4; Toyota has done its own suspension and chassis work here, fine tuning everything on its own. It’s not like Toyota doesn’t know how. 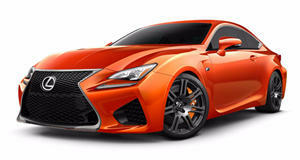 Just look at the 86 and the Lexus LFA. Another example is the Supra is expected to have that ideal 50:50 weight distribution. 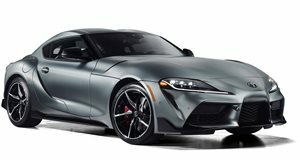 The new Supra is also expected to be sold under Toyota’s performance division, Gazoo Racing. 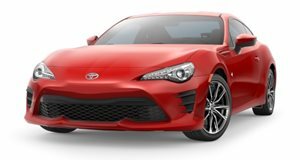 At Geneva last March, Toyota brought the , which if you strip away much of additional exterior aero, you’re looking at the final production car. We’re also told Toyota/Gazoo is benchmarking both the M4 and Porsche 911. The advanced prototype in this video obviously has the typical body camouflage, but it’s fairly light. Pause the video and you’ll get a good look at many exterior styling details, such as headlight and taillight design. When will the production-spec Supra make its debut appearance? We’ve been told .